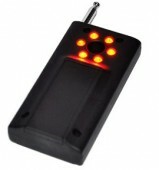 Want to gain a safer environment and protect you from being tracked by the GPS device and the phone tapping? 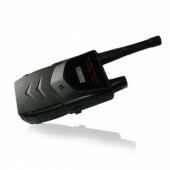 Then this Mini Full Band Wireless Signal Detector can be your best choice. By applying and the active laser scanning and passive scanning method of combining wireless, this one owns accurate identify ability of recognize eavesdropping devices, tracking devices, car eavesdropping, wireless pinhole camera, electrical sources, and so on. And it owns a signal strength indicator that is helpful and convenient to find out the source of the signal. 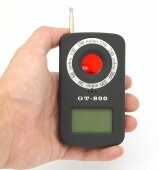 Thus you can choose from the laser probe, vibration (silent), beep detection probe detection, LED display, and Headphone mute detection five detection modes based on the situation. And it owns a wide receiving frequency range from 1MHz to 6500MHz. Apart from the above the sensitivity adjustment potentiometer is adjusted and the detect range various according to the power, for example when the power is at 300mw-600mw the detection range is 100-200cm, while at the power of 800mw - 1200mw the detection range is 300cm-1000cm. Therefore the 450mAh built-in rechargeable lithium polymer battery is use as its power supply. And owning a weight of only 58g and small size this device is easy to carry. 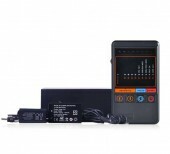 Such a portable device can be used to detect wireless network signal, cell phone base station signals, wireless surveillance system field strength, leaks and other household appliances such as induction of the magnetic radiation hazardous to your health and many other aspects. 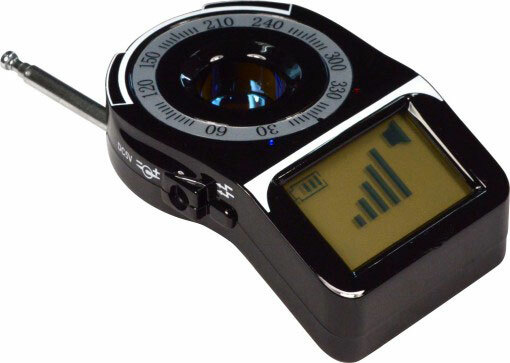 More detail information is at detectorall, if you want to own such a useful device just so ahead and pick up one. And you will gain the high quality product. The price is cheap and ther the service is really good, thanks very much. The signal detector works very well since I have bought it and it is inexpensive. No problem occurs since I have used it for a long time, really thanks. It can really find teh source of the radio, the cell phone as I have test. in general i like the product very much. It is really easy to operate and it it so cool in design. I like it very much. The signal detector is very useful and brings a lot of convenience to my life.